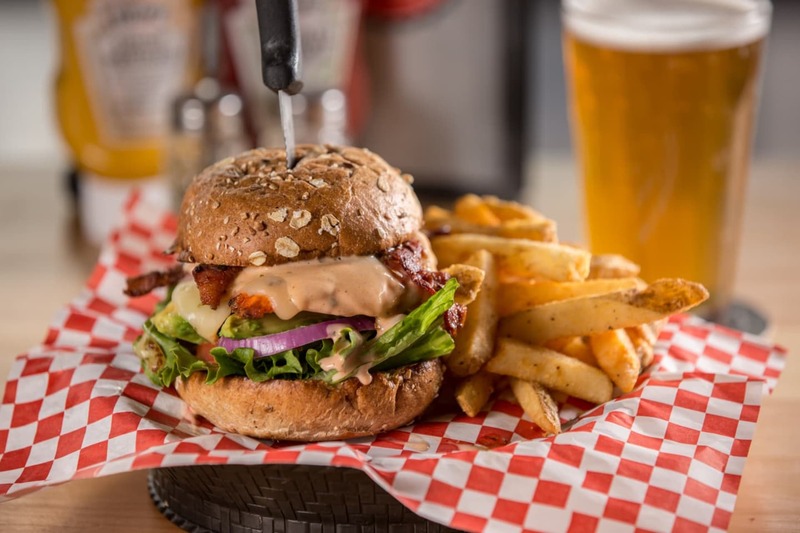 B² BURGERS & BREWS PAIRS RIDICULOUSLY DELICIOUS CRAFT BURGERS WITH CRAFT BEERS! At b² burgers & brews we only use the freshest ingredients, our 100% Beef Chuck and Brisket blend is delivered to us daily and all our bread is baked fresh and delivered daily from our local baker in Tempe, AZ and our beer is sourced from multiple Arizona craft breweries. MAKE YOUR OWN CREATION, JUST LET YOUR SERVER KNOW HOW YOU'D LIKE IT! **CONSUMING RAW OR UNDERCOOKED MEATS, POULTRY, SEAFOOD,SHELLFISH,EGGS,OR UNPASTEURIZED MILK MAY INCREASE YOUR RISK OF ILLNESS.